According to the U.S. Centers for Disease Control and Prevention (CDC), more than half a million people died between 2000-2015 from opioid use, cited Rio Salado College’s Faculty Chair of Addiction and Substance Use Disorders program Kirk Bowden, who took part in a Congressional briefing about the nation’s opioid epidemic hosted by the American Counseling Association (ACA) on Tuesday, April 4, 2017. To view the Congressional hearing in full visit https://youtu.be/tqcEKMTqsaE. 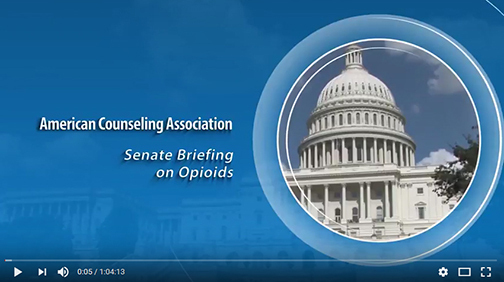 Bowden was among five experts in the field of Licensed Professional Counselors (LPCs) invited by the ACA to address opioid use disorder, the prescription drug epidemic and the unique roles LPCs play in helping individuals and families recover from addiction. 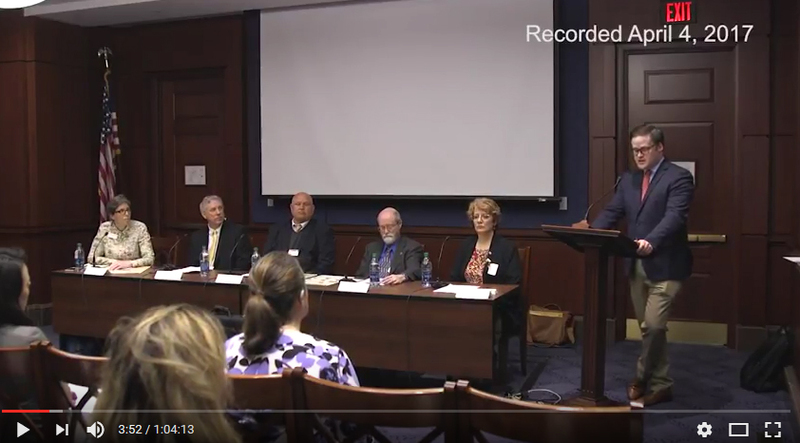 The two-hour congressional briefing was held at the U.S. Capitol Visitor Center in Washington, D.C.
Bowden and the panel addressed alarming increases in prescription opioids sold in the U.S. According to the CDC, opioid sales have nearly quadrupled, and the number of related deaths has more than quadrupled since 1999-- killing 91 Americans every day. The panel emphasized increases among unsuspecting patients who unknowingly become addicted within a matter of weeks from prescription drugs like oxycodone, hydrocodone, and methadone. Bowden urged the need for doctors and medical professionals to have specialized training on opioids and addictions—and urged for mandatory training among addictions and behavioral health counselors, including psychologists. Bowden has been a longtime advocate for continuing education and a proponent for establishing standards for addictions counselors and educators. “Government statistics show that only about 1 in 10 people who need treatment, receive treatment by a qualified provider,” said Bowden. Rio Salado College is offering a new series of non-credit, online seminars to help addictions and counseling professionals stay informed about the latest industry developments and strategies, and meet continuing education requirements. The 20 seminars focus on topics such as treatments for stimulant use disorders, adolescent substance use disorders, domestic violence and addictions, intervention and treatment for substance use disorders and professional ethics. There are also a series of seminars focusing on eating disorders and behavioral addictions. Many seminars have 4, 8 and 14 week completion options and most textbook and course materials are available at no or low cost (<$40). Many seminars do not require additional course materials. The seminars were developed under the direction of Bowden, a well-known leader in the addictions and counseling industry who plays an integral role in the development of Rio Salado’s Addiction and Substance Use Disorders program. Rio Salado is one of Arizona’s top educators of addictions counseling professionals. 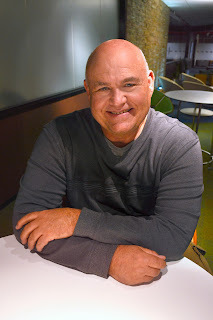 Bowden has served as the Arizona Board of Behavioral Health Substance Abuse Academic Review Committee (ARC) chair since 2015 and completed a 2014-16 term as president for NAADAC, the Association for Addiction Professionals. Bowden has also served as chair of the National Addiction Studies Accreditation Commission (NASAC), which accredits college and university addiction studies programs. The American Psychological Association will recognize Bowden this August with a 2017 Distinguish Career Contribution to Education and Training award for the contributions he has made to the field of addiction science education throughout his career. “The people of this country need to be protected and deserve to have counselors who are educated, well-informed and knowledgeable about the latest issues, treatments and news about addiction treatment and recovery,” said Bowden. For more information about Rio Salado’s Behavioral Health/Addictions and Substance Use Disorders programs, visit www.riosalado.edu/ASD.